TheWanderer: Campgrounds Less Travelled By...and Worth It! 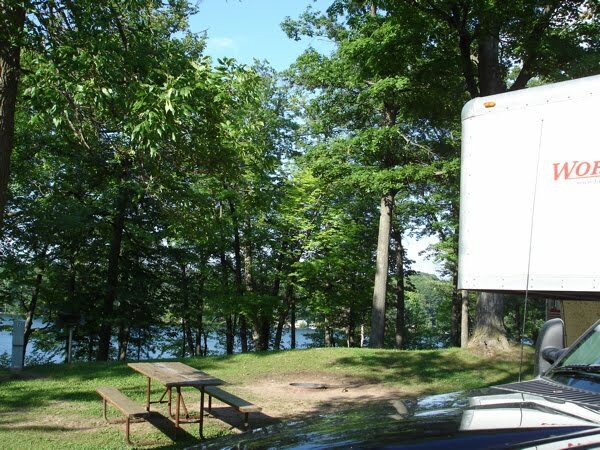 The nice thing about breaking down is that you sometimes get to stumble upon hidden treasure, such as Eagle Point Campground right in the heart of Cumberland, Wisconsin. We had a breakdown and were saved from disaster by Lundmark Campers. Being late in the day, Terry Lundmark himself having stayed open late to assist us, we needed a place to bed down and recover. He pointed out Eagle Point Campground, a small City Park in the heart of Cumberland. 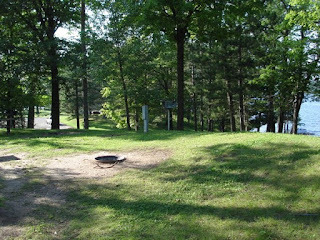 We balked at first since City Campgrounds are often less than desirable, noisy and often crowded with few amenities, but this campground is a jewel. Nestled on the point overlooking the lake, you would think you were in the wilderness at a State Park. 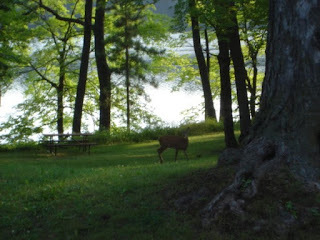 No traffic noise, Loons abound, and even a nice deer came to visit us this morning! They have a great, clean shower facility and friendly staff. This campground is usually bustling and crowded on weekends, we are told, but during the week it is quiet and spacious! 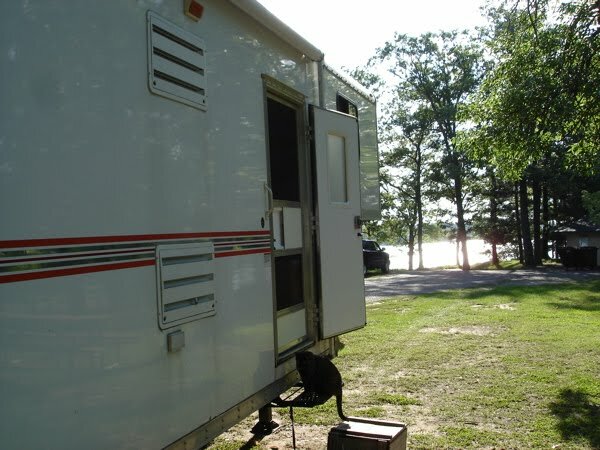 There are more than a few lots that can fit a 40 foot trailer and full hookups abound. 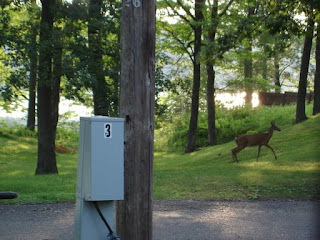 No cement aprons for you city folks though, you have to rough it a little. Road access for big rigs looks tricky, but if you look it over you find even the biggest rigs can move about without scraping trees and such. The town is antique and interesting, with many small shops and eateries. If you are looking for Walmart and other "urban" stores you have to drive to Rice Lake, a short 15 minute drive away, but we like to rough it and visit Mom & Pops when we can...so this Park gets a top rating from us!